One firefighter died and four others were injured Friday battling a four-alarm fire at a three-story apartment building at 10 Bell St. The Maine Fire Marshal’s office announced Friday afternoon that the deceased firefighter was Berwick Fire Capt. Joel Barnes. The four other firefighters were sent to Wentworth-Douglass Hospital in Dover for treatment and have been since released, a Maine Fire Marshal said Friday afternoon. The fire was reported at 10:57 a.m., according to officials. Berwick’s police and fire departments were the first to arrive on scene at 11:01 a.m. Rochester Dep. Fire Chief Tim Wilder said at a press conference that a mayday call came minutes after the arrival of the first firefighters. 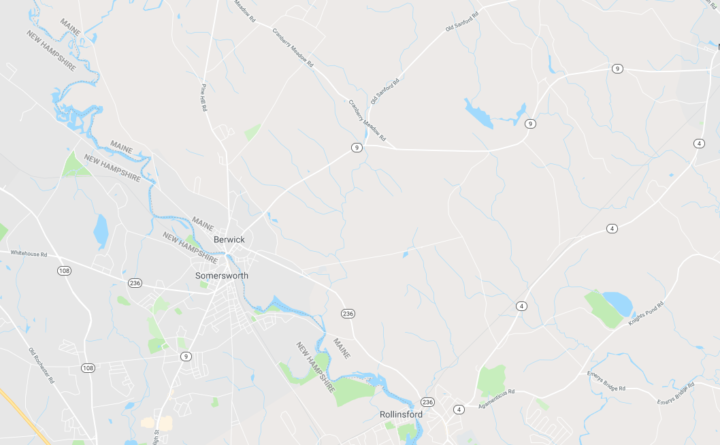 Wilder said that Maine and N.H. fire marshals would be investigating the origin and cause of the fire throughout the night along with help from the Bureau of Alcohol, Tobacco, Firearms and Explosives, and Berwick police and fire departments. Wilder said on behalf of Berwick Fire Chief Dennis Plante, he asked the public to keep all those involved, “especially the family of Capt. Barnes in their hearts.” Wilder did not have specifics regards to the origin and cause of the fire. 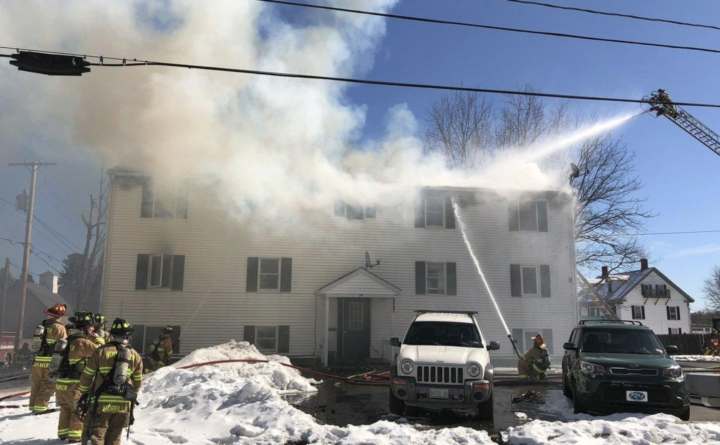 Officials said fire alarms progressed rapidly due to the nature of the fire and building, reaching a fourth alarm at 11:31 a.m. In total, between 50 and 75 firefighters from 17 Maine and New Hampshire departments responded, according to Wilder. Five EMS companies also responded, as did a representative of the state fire marshal’s office. A number of residents of the building were seen outside. There was no immediate word on whether all the residents escaped safely. The roof of the building has collapsed and firefighters were seen working on hot spots until about 12:30 p.m., when the largest flames appeared to be knocked down. Crews were then seen entering the building in full protective gear. Maine departments represented at the scene included Berwick, North Berwick, South Berwick, Lebanon, Eliot, York and Sanford. Fire departments from New Hampshire included Rochester, Somersworth, Dover, Durham, Portsmouth, Greenland, Newington and Rollinsford. Police from several communities also responded. The owner of the building is listed in Berwick records as Gerard Letarte of Somersworth.